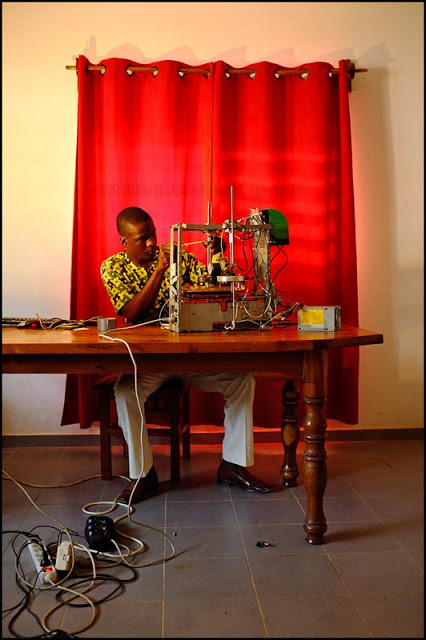 Finance the 3D printer of the poor, ecological and democratic ... "Made in Africa !" Some say the printer 3D will have the same impact as the steam engine. 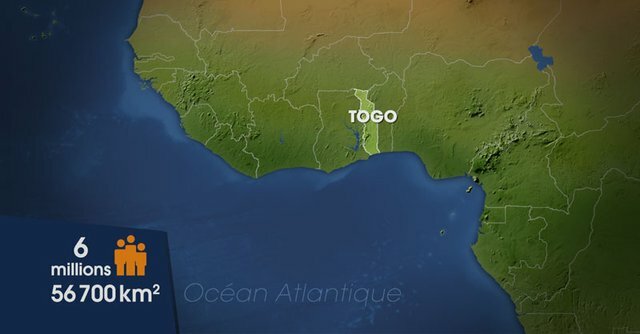 A young Togolese tech Community is about to write one of the most beautiful and promising pages of this new technological revolution. Be the heart of this outbreak by giving a hand to an innovation "Made in Africa !". - Develop e-wasting and contribute to the cleaning of the IT waste reception center which as in Agbogbloshie in Ghana, are as big as some districts. - Put technology into needy hands and give Africa the opportunity to not only be a spectator but to play the first role in a more virtuous industrial revolution. 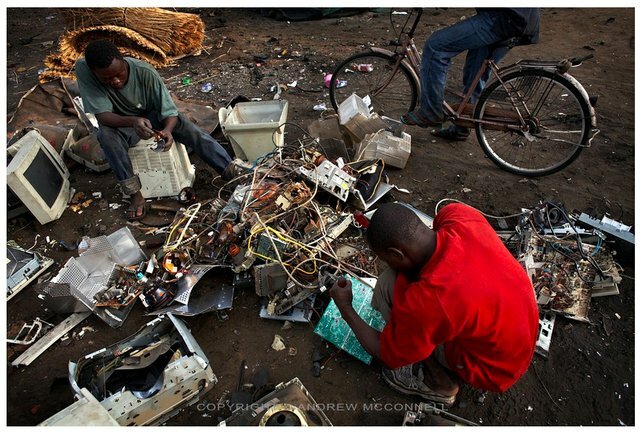 - Favour the diversion and the reuse of used machinery to avoid that it becomes scrap and give it a second life to generate a new economic contribution to African households, schools and cyber-cafes. 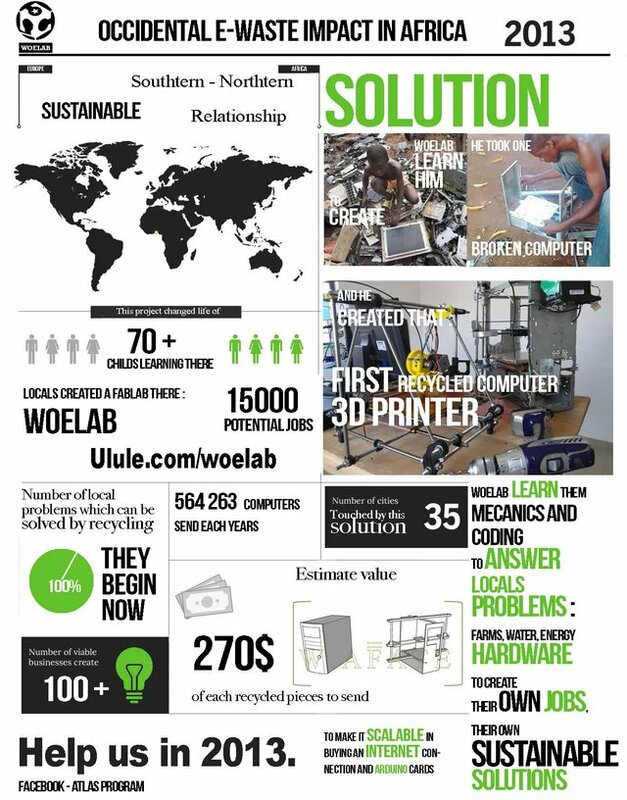 These are some of the challenges WoeLab has recently embraced by getting in the manufacturing of the first homemade 3D printer, openSource and hors famille RepRap. 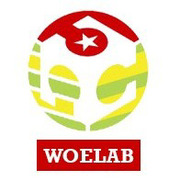 The WoeLab calls for support. Your help will enable W. AFATE to see the day and thereby to reduce the gap between one of the most prestigious technology of our time and low-income groups. 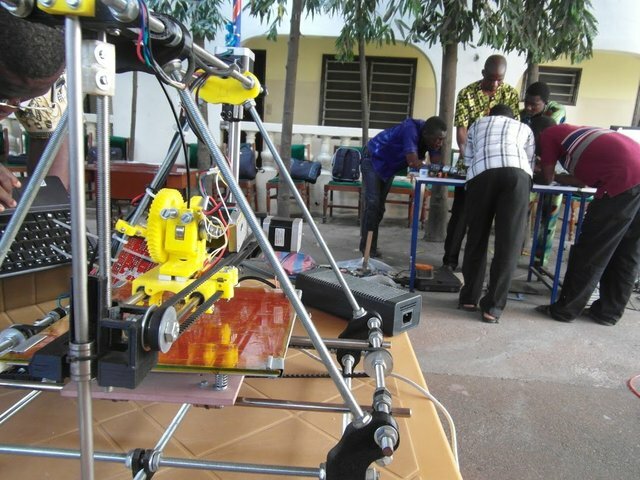 (Woebots1) Wafate 3D printer is inspired by the Prusa Mendel which is one of the models had been put together at the Woelab-Lomé during the Achicamp 2012, thanks to a kit brought from France. 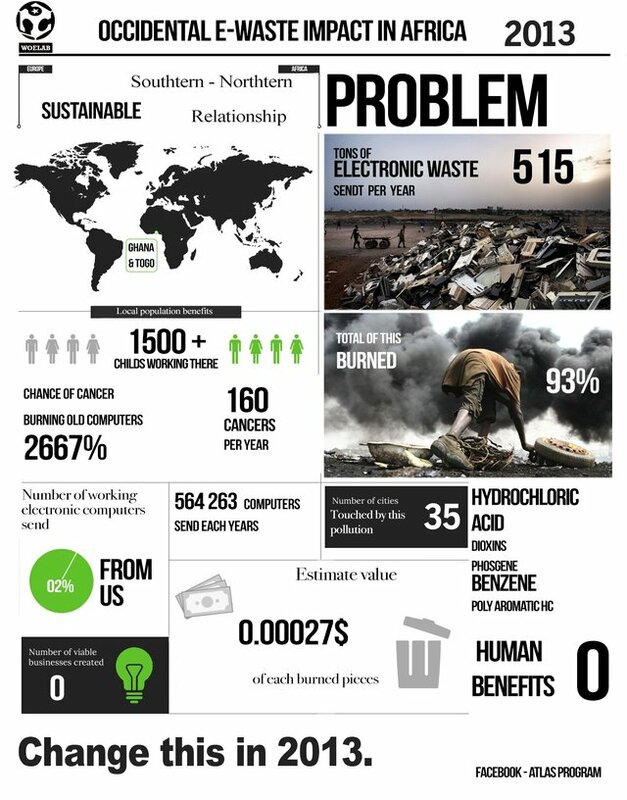 Very spontaneously, Afate identified the problem posed by the availability of a kit in the realization of this project and initiated the process of manufacturing an empowering machine easy to reproduce, 100% based on recycling and other materials available anywhere. 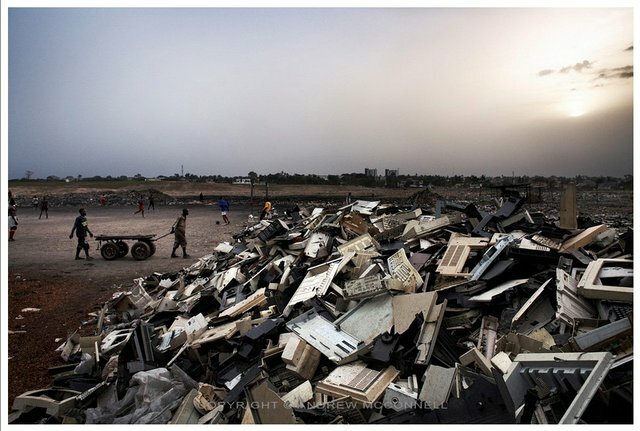 Interest is focused on IT debris namely the CPU (central processing unit), printers and scanners. The architecture of the CPU is suitable as a framework for the machine, the rails and motors for printers and scanners are here to give life to a 3 - Printer craft whose heart is the Arduino board. 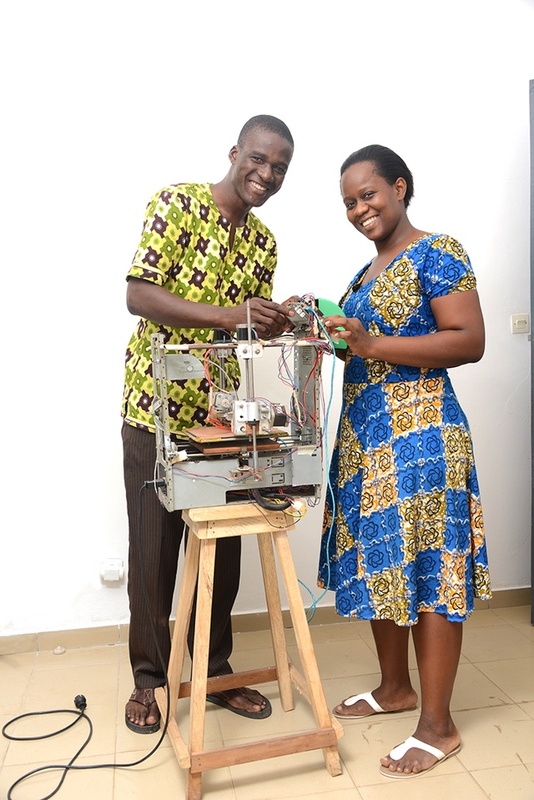 Being supposed to provide solutions adapted to African conditions and realities, it's an initiative, part of the #HighLowTech ethic provided by the WoeLab, meant to equip the various social strata with proximity technology and they also provide the ability to create their own machines with a very detailed and simplified documentation. 1. Collect the materials : CPU out of order, rails and scanner or photocopier motors, Arduino card, electrical wires. 2. Gather tools : hammer, hacksaw, drill, soldering iron, screwdriver. 3. 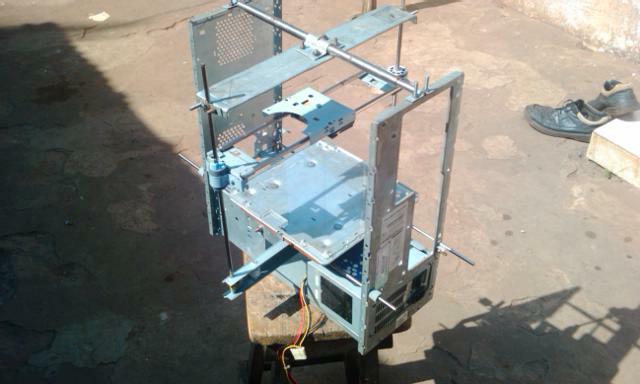 Dismantle the UC and retrieve the chassis with an alimentation box which will supply the Arduino card. 4. Manufacture the printing plate. 5. Put the printing plate on the chassis with fixing rails (y). 6. Put the rails on the printhead or the extruder (x). This assembly will be synchronized with that of the rails allowing the extruder to go up and down (z). 7. Put the four motors controlling the three axes x, y, z. 9. Manufacturing and assembly the extruder. 10. Connecting elements to the Arduino card. The amount proposed will permit us to quickly develop our project and get this new economic and empowering printer going this summer. Your contributions will help Afate support the cost of the original investment in time and equipment. Considering that the mechanical part is almost complete, only the electronics and the gauging of the machine remain to be studied. Starting July, and expecting the upcoming Archicacamp, we will begin putting together the documentation on OpenSource of the (Woebots 1) Wafate, and its standardization (by simplifying the process of a kit based on the rational conversion of waste into assembling elements). 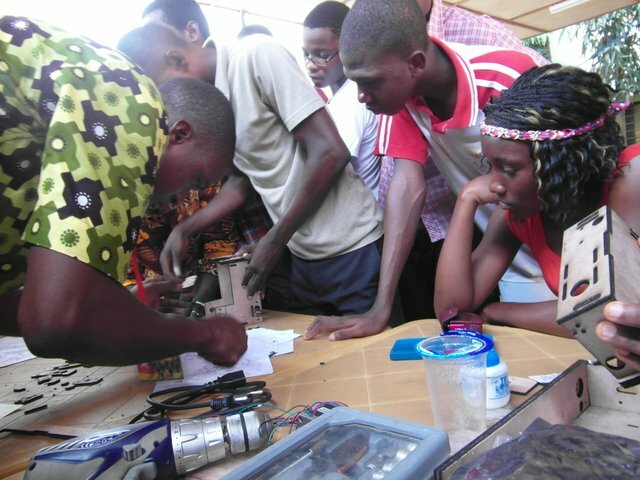 Finally, we would like to embark on the constitution of the first series of kits for the fablabs around the world and finance the workshops of popularization in Togo. You have all our gratitude. In Togo we say: "Akpé! *"
From now, you count in the history of innovation in Africa. > You'll receive a confirmation "Heart member" from the wɔɛlab, dédicated by the whole community and you'll be mentionned as every supporters in the W.AFATE project. > The (home-made) badge from the wɔɛlab !! > The badge from L'Africaine darchitecture .. and a new print object by the W.AFATE #0 !!!
" Akpé ka-ka-ka ! " > The bespoke wax uniform of the woelab ! > Once the project done, a beautiful box with a full kit filled with all the pieces to put together to make a W.AFATE. (to exclusively take off in Paris for occidental supporters ... with a huge hug).